Almost three years after putting our worldwide bestseller Los Logos together, dgv announces its much-anticipated follow-up. Dos Logos presents extensive examples of contemporary logo design in even greater depth and charts new developments in the field. Done in the same format as the first volume, Dos Logos explores the exceptional visual language and stylistic approaches to logo creation by designers from around the globe. It is thoroughly indexed, catalogued by subject and systematically structured according to various search criteria. In order to offer even more value to conscientious designers in terms of practicality, it also classifies the included work according to the industry or purpose for which it was designed (music, fashion, corporate, etc.). In addition, the book contains more unusual applications and a broader range of logos including those used on building facades, on clothing and as illuminated advertising. 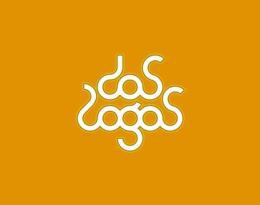 Its scope and usefulness make Dos Logos the ultimate update on the current state of logo design.